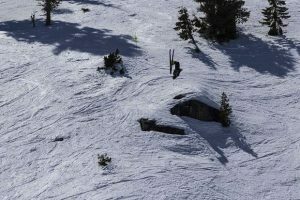 Squaw Valley Alpine Meadows has leased an Astar 350 B3 helicopter for the 2017-18 season from Minden, Nev., based Skydance Helicopters. The helicopter is part of $4 million spent in the resortâs snow safety program. Squaw Valley Alpine Meadows is upping the ante for the 2017-18 ski and snowboard season with a $4 million investment in the resort’s snow safety program. The resort has leased an Astar 350 B3 helicopter, purchased four new avalaunchers, and nearly tripled the size of the its Gazex remote avalanche control system, also known as dragons. After a record season of snowfall, Squaw Valley Alpine Meadows will come into the upcoming season more prepared for the Sierra Nevada’s big winter storms. “Last season was a real challenge for us; we learned a lot. 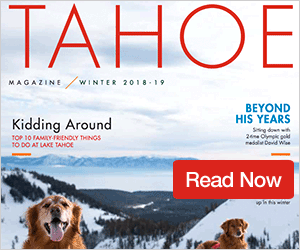 We received 728 inches during the season, and a lot of that came in January and February, so we got a big, heavy punch,” said Will Paden, Squaw Valley Ski Patrol director, in a statement. In order to deal with potential risks during heavy snow periods the resort leased an Astar 350 B3 helicopter from Skydance Helicopters of Minden, Nev. The helicopter will be used for avalanche control at both Squaw Valley and Alpine Meadows after major snow cycles, according to information from the resort, and will make the resort the only in California, and one of a few in North America to use a helicopter as part of its snow safety program. 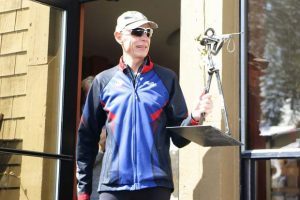 The helicopter will by piloted by one or two professional Skydance pilots and staffed by specifically trained patrol team members, according to Squaw Valley Alpine Meadows Public Relations Director Liesl Hepburn, and will be equipped with baskets to transport ski equipment. The helicopter will be onsite at Squaw during the high season, but will be available to be called up from Minden if necessary. Squaw Valley Alpine Meadows has also installed 13 new Gazex remote avalanche control systems. The systems explode an oxygen / propane gas mixture, which creates a concussive blast to remotely trigger avalanches. Squaw Valley Alpine Meadows became the first California resort to install the technology, according to a statement from the resort, when it utilized the dragons in 2015. The resort will have eight new dragons placed near the ridge above Alpine Meadows Road and five within the resort’s boundaries, which gives the resort the largest system in use at any ski resort in North and South America. “What’s great about the dragons is we can set them off at any time. So we don’t have to wait for light, we can do it in the middle of the night. Groomers can keep grooming safely at night and help keep work roads open so the rest of the team can access the mountain too,” Bokelund said. 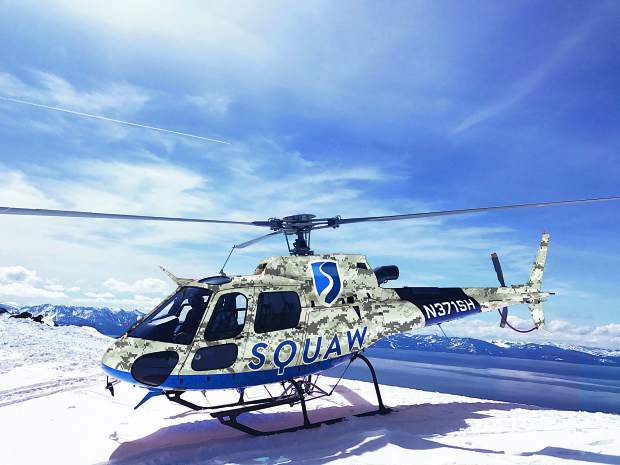 Squaw Valley Alpine Meadows will introduce two new avalaunchers each at Squaw and Alpine. The avalaunchers use compressed nitrogen to fire an explosive projectile in order to trigger avalanches and control snowpack from a safe distance. Alpine Meadows has traditionally used avalaunchers, according to the resort, but this season will be the first in many years that Squaw Valley will use them. “We’ve seen how they’ve worked at Alpine, and we’re sold on it. 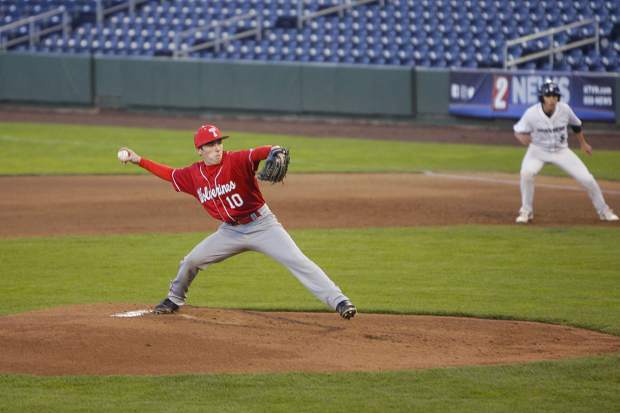 The technology has really come a long way,” Paden said. During the summer and fall months, Squaw Valley Alpine Meadows sent leaders from its mountain operations departments to train with the Karakoram Group, which is comprised of seasoned special operations professionals and veterans from elite organizations that have helped lead the fight on the global war on terror. Members of the resort’s lift operations, lift maintenance, grooming, ski patrol, and snowmaking departments have been working with the Karakorum Group to identify ways in which they can optimize their operations. “The mountain operations mindset is similar to that of a Navy Seal: high-adrenaline and self-challenging,” said Dave Cooper, founder, chief strategy officer and chief of operations for Karakoram Group, in a statement. Squaw Valley Alpine Meadows said it will employ more than 2,600 people for the 2017-18 season, which would be the most in resort history.